I have a simple question I need to clear up before I purchase. I am looking at purchasing either the Arty Z7-20 with SDSoC Voucher or the Zybo Z7-20 with SDSoC voucher. I see that the Arty Z7-20 also comes with the Vivado Design Suite WebPACK download. The Zybo Z7-20 does not come with the Vivado Design Suite WebPACK download. Is this correct? The WebPACK Edition of the Vivado Design Suite is provided for free on the Xilinx website here: https://www.xilinx.com/support/download.html. Digilent itself does not provide the Vivado Design Suite. Hello Mr. JColvin. I have a question about Vivado Webpack - free version. I have downloaded Vivado Webpack version, I have seen that this free version does not include Zybo Z7-20 board. You can see it in the screenshot attached. But, in the Zybo Z7 Board Reference Manual (https://reference.digilentinc.com/reference/programmable-logic/zybo-z7/reference-manual ) it is written as "The Zybo Z7 is supported under Vivado's free WebPACK™ license, which means the software is completely free to use". Could you please help me why I don't have this board in my Webpack version? 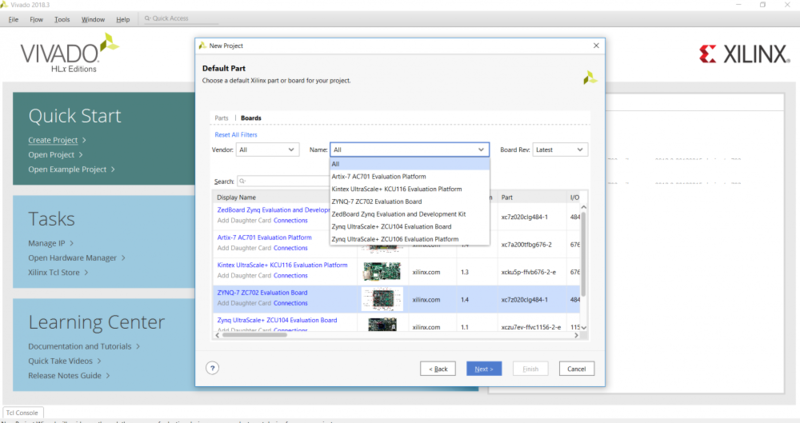 To add Digilent boards to the list of boards in Vivado, you will need to download and install the Digilent board files as described here. Welcome to the Digilent Forums. The list that comes with Vivado currently does not come with Digilent's board files included. You will need to install the board files as @kwilber describes above. Thank you very much dear kwilber and jpeyron. I've solved the issue by installing the board files. Could you please tell me the main difference between free webpack version and design suite version with cost? According to the table attached, there is no difference between them.. The webpack version limits the allowed devices. For example the webpack does not support the virtex-7 device family. It also restricts the zynq family to the smaller devices. 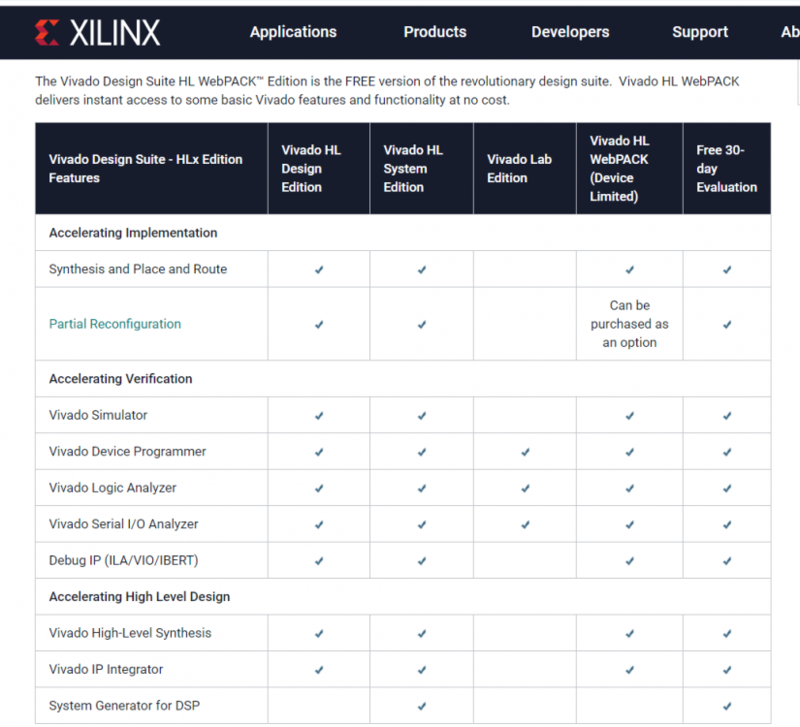 Xilinx lists the supported devices here. In addition to the device family limitations @kwilber listed I also believe that the Webpack edition does not support the Kintex device family as well(Genesys 2). Its my understanding that with the paid editions some additional IP Cores become free to use.